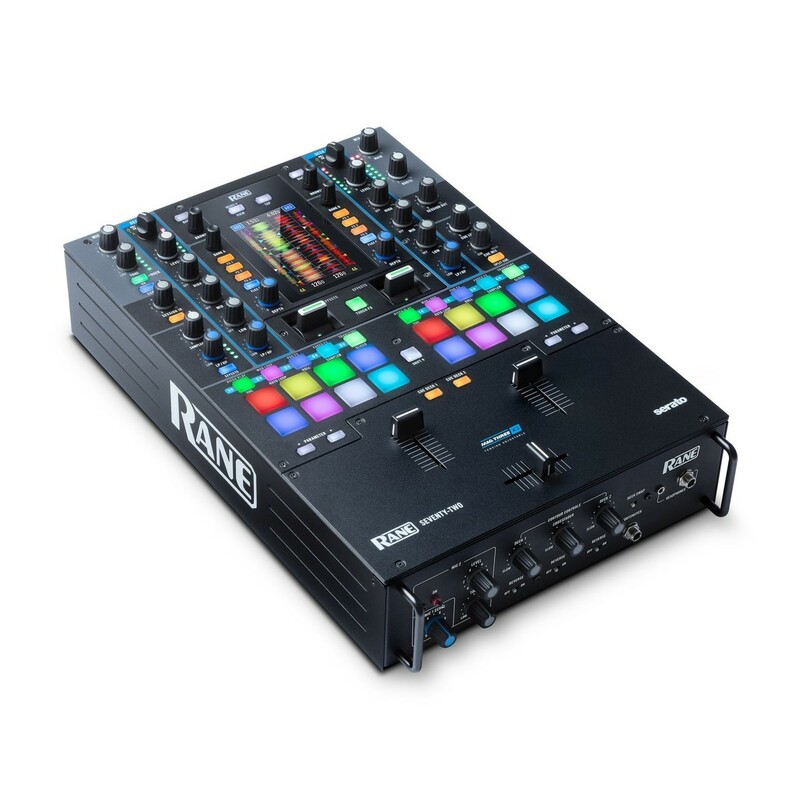 The Rane SEVENTY-TWO Battle Mixer is a solid, battle-ready mixer, fully loaded with ultimate performance features to give you the edge in DJ battles. The Rane SEVENTY-TWO incorporates a brand new 4.3-inch colour touchscreen that offers X/Y FX control, song selection and user customisation. Die-cast aluminium FX paddles and 16 Akai Pro MPC performance pads allow for intense on-the-fly remixing and FX mangling, enabling you to unleash your creativity to win those DJ battles. 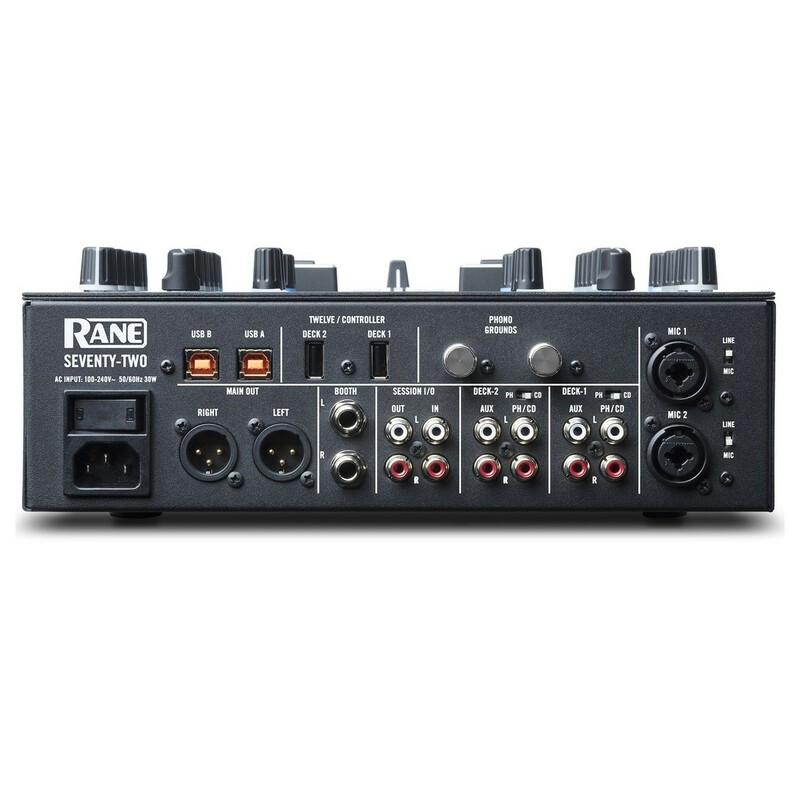 The Rane SEVENTY-TWO mixer features a Serato DVS license built-in with Serato DVS vinyl included, allowing you to get set up straight out of the box. The mixer now includes version 1.2 firmware with a range of performance enhancing features. The latest firmware update for the SEVENTY-TWO provides a wide range of enhancements, upgrades and new features. The touchscreen has been updated to include pinch-to-zoom capabilities, waveform view, library view and startup view for added flexibility when navigating between songs. Pad and Performance Pad information is also now available on the touchscreen. Time parameters of FX are now displayed in the bottom of the Touch FX screen, allowing you to adjust FX timing by selecting the time parameter display and turning the parameter knob. The Touch FX button now includes a tempo tap function for setting your BPM manually. You can also change the feedback level of the Mic Echo, as well as the mic sensitivity for precise ducking. You can also now edit the cutoff frequency of the integrated filters for added flexibility. For the full list of upgrade and new features please refer to the PDF above. 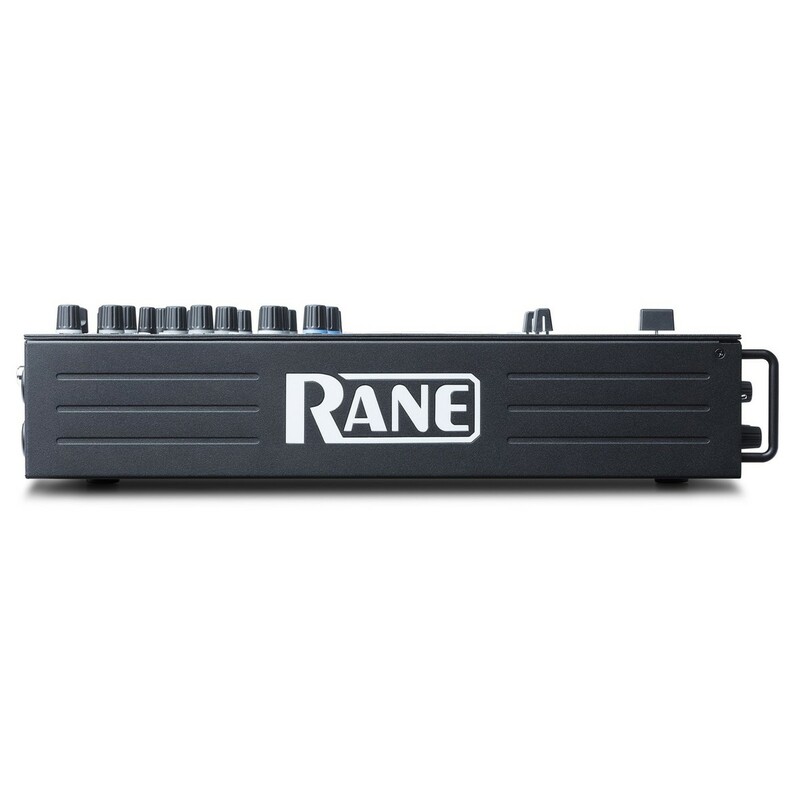 The Rane SEVENTY-TWO has been built in collaboration with champion DJs from all around the world to ensure they incorporate the much needed features and technology for battle DJs. The SEVENTY-TWO offers a range of features designed for performance. Included are 16 backlit Akai Pro MPC performance pads (8 per channel) which offer adjustable threshold and aftertouch for remixing, mashing up tracks, and controlling loops on-the-fly. They also offer Serato control, plus special modes for Pad FX, Crossfader FX, Transport, Slicer, and video control. Each channel features a dedicated low/high pass filter control, as well as chain-integrated Serato software effect control and dual FLEX FX engines, allowing you to control 2 effects simultaneously within Serato. The die-cast aluminium toggles allow you to control your FX in a new way, similar to using a modulation wheel on a keyboard. 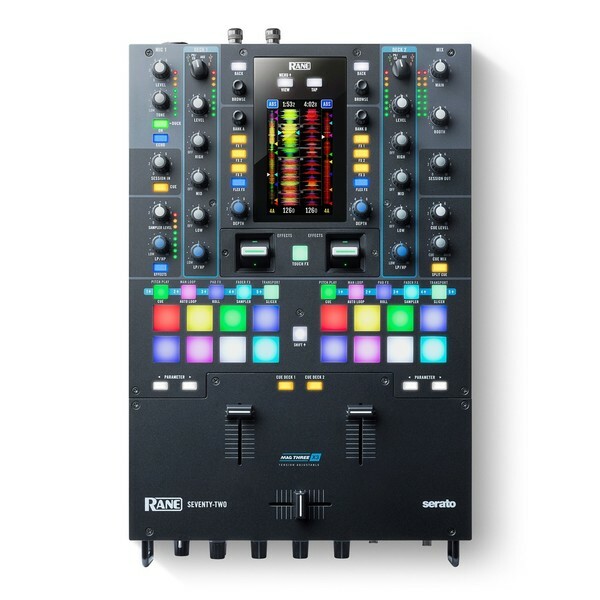 The mixer features a dual FX engine, allowing you to combine the internal effects with the Serato DJ effects. Users can now experience Rane's brand-new MAG THREE fader. This is a new patented Mag Fader design offering a unique touchless, tension-adjustable fader with perfect tactile feel and precision, combined with durability and longevity. The SEVENTY-TWO mixer features a solid steel construction, built for non-stop, heavy duty use. It has been designed for durability, so you can ensure the mixer always performs at its best, no matter how much you use it. 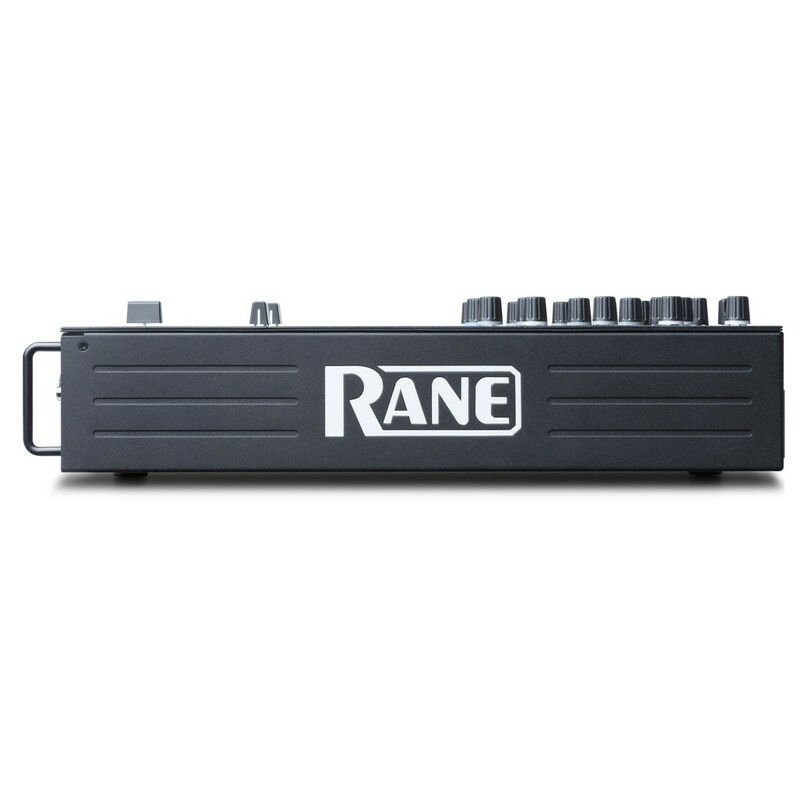 Additionally, the Rane SEVENTY-TWO features steel protective roll bars that can also be used as handles for quick transport. The 4.3-inch colour touchscreen is a new feature that not only offers a moving waveform display, but also X/Y FX control, allowing you to control your effects with precise finger movements. It also displays your tracks, allowing you to navigate through your songs and playlists quickly when performing. As well as this, the touchscreen also displays your cue points, allowing you to see when the best parts of the track are coming up. The SEVENTY-TWO mixer features all the essential connections needed for a professional club mixer. 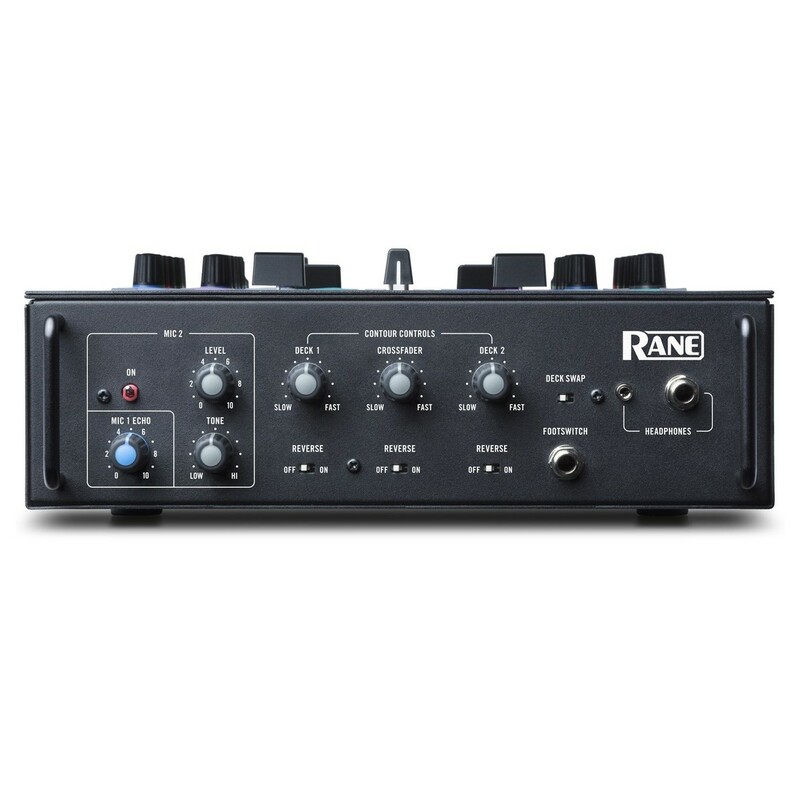 The mixer provides RCA phono and CD inputs for each deck, plus a main XLR out and balanced 1/4'' booth out, which allows the mixer to connect to decks/turntables and club monitoring systems. The mixer also features 2 mic inputs which feature duck and a custom echo for those crowd shoutouts and MC'ing. The dual USB ports make DJ changeovers a breeze. Easily mix and battle with your friends at home or at the club.